The QuickStart Tennis format works by getting kids into the game immediately. Within the first hour of stepping onto the court, they are actually playing the game, rallying with one another, moving around and having fun. Scaling the game doiwn to their size helps make the learning process easier and a lot more fun. By being introduced to this style of play from the start, your kids will gain confidence by seeing their own immediate progress, making them more enthusiastic about continuing to play and improve. QuickStart Tennis enables kids to have more enjoyable experiences early on in the learning process and having fun is always a factor in keeping kids involved. across one full-size tennis court. For this age group, the net height is 2' 9". first to win two games wins the match. The longest a match will last approximately 20 minutes. ends to make it a 60' length. 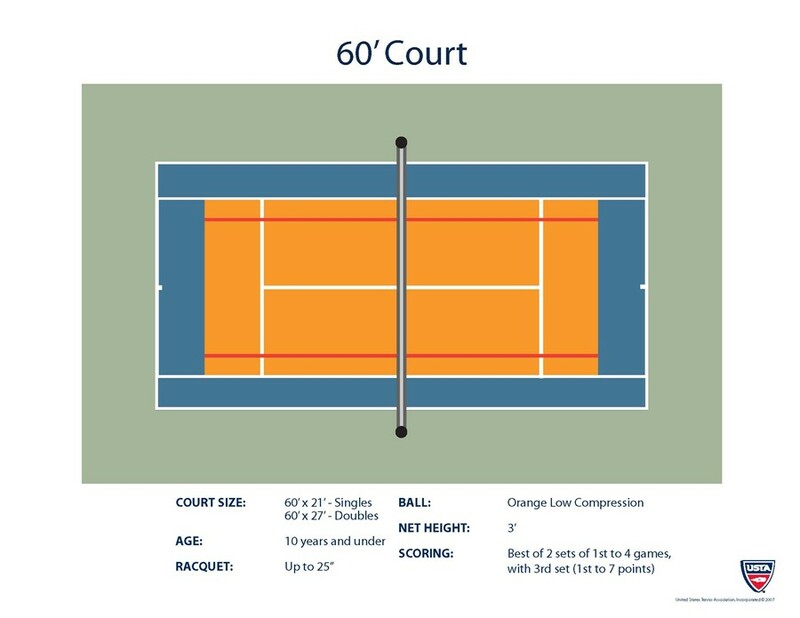 The singles sidelines are used to determine the width of the court. the racquet and ball are different from the equipment adults use. ball used with the younger group, however, it still has a lower bounce than the original. set. For the third set, the first player to win seven points wins the match. 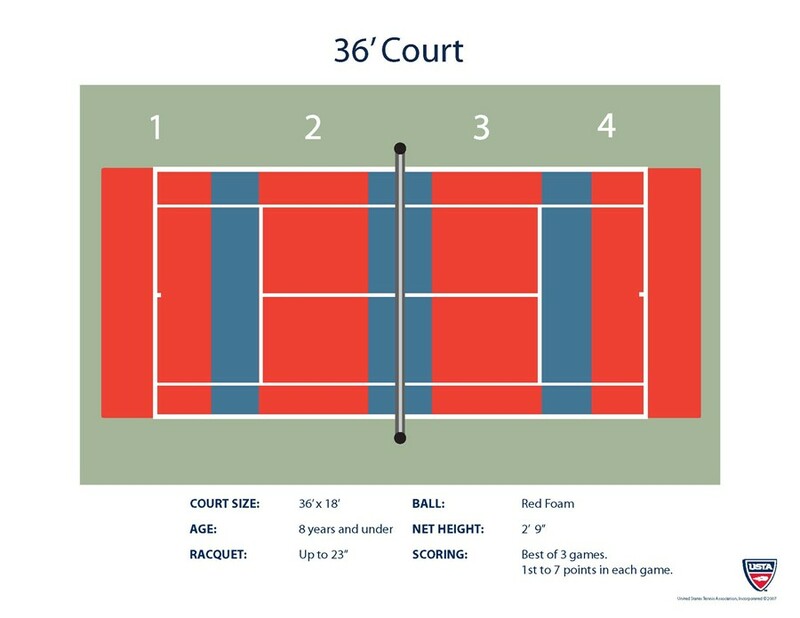 For more information on the QuickStart format, please visit: QuickStartTennis.com.